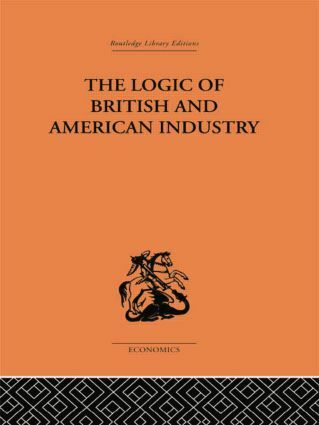 Summarizing the facts about the prevailing sizes of industrial firms or plants and the patterns of industrial location in Britain and America, this book also interprets the facts in basic terms such as technical requirements and consumer habits. Examining investment and human resource management, the contrasts and (unexpected) similarities in the industrial structure and government of the two countries are analysed. The book includes new research into the real seat of power in the British joint stock company and compares the results with the realities of the American corporation.